I’m obsessed with the idea of a home office. A well lit space with tranquility and calm, yet enough creative energy where ideas and stories can be harnessed. 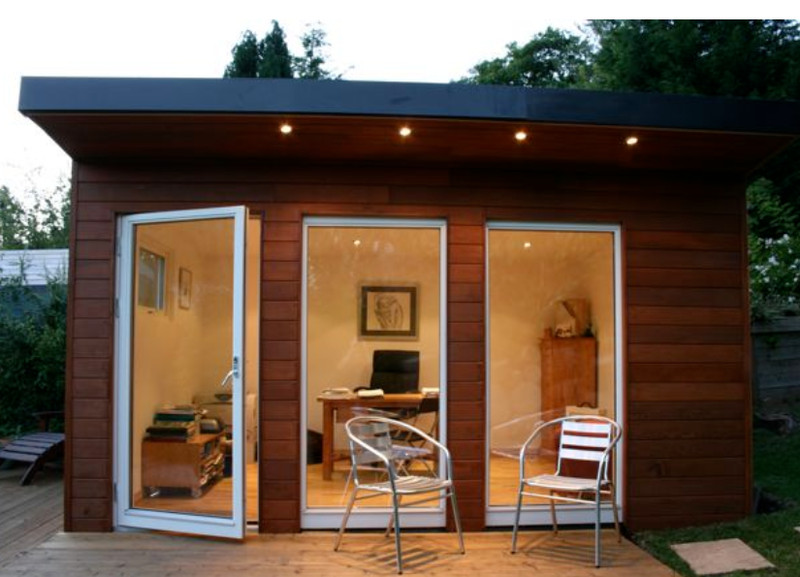 Imagine the concept of turning your tool shed into a beautiful little work space in your backyard. Leave the house and commute ten feet to your office where it’s business as usual – whether it’s the written word, or a conference call with a client. This is my focus right now; however, logistics are not clear in my mind. Will I be in an apartment in the future? Why not have a house with a backyard for the dogs? And if I do have a backyard – this well lighted, bright and airy little space beyond the backdoor would be just the spot for prosperity and creation. That’s my dream. How about you? Categories: ON WRITING | Tags: Home, Office Space, Tool Sheds | Permalink. Thanks, Allan! Oh, now I’m into this!